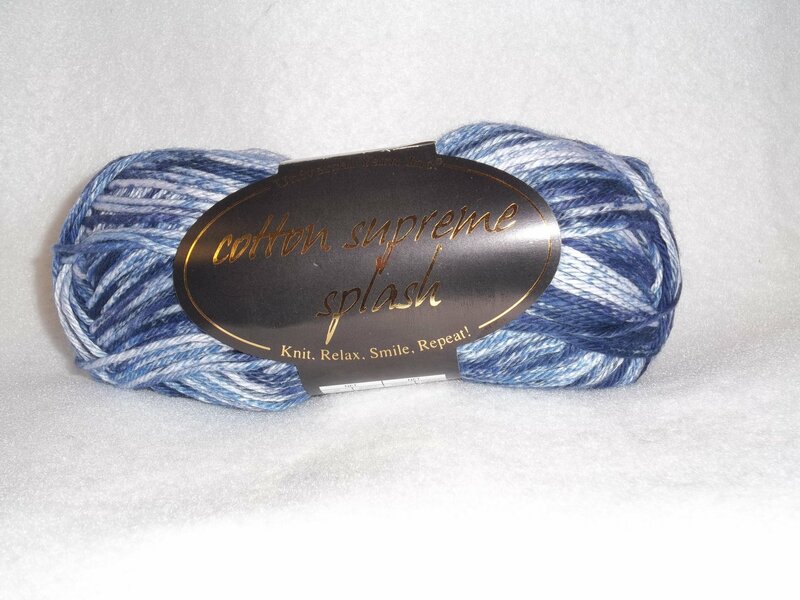 Cotton Supreme Splash is a dappled and tonal cotton yarn. Each 100 gram skein contains 180 yds/165 meters. Recommended needle size is a US8 and hook size is a USJ. Gauge is 17 sts. and 23 rows to 4" of stockinette stitch. Machine wash/tumble dry low.